The Iberian pig Cerdo Ibérico has dark skin with a sparse coat, a pointed snout, and long, slender legs. The genetic trait of this breed is its ability to store fat in muscle tissue, the key to the unmistakeable flavour and texture of Iberian hams. Here, pastures are in fact open woodlands of holm oaks and cork oaks, with an abundance of aromatic herbs such as rosemary and thyme. 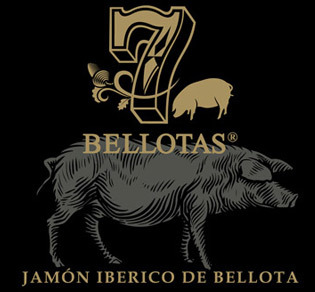 This traditional habitat of the Iberian pig is also the source of a rich, well-balanced diet that is essential to the organoleptic qualities of its meat. The dehesa pastureland is one of the best preserved ecosystems in Europe, where livestock breeds (Iberian pigs, merino sheep, retinto) live side by side with wild species (deer, wild boars, rabbits, hares, wild cats, imperial eagles, black vultures, cranes, and lizards). Iberian pigs consume a staple diet of acorns (the fruit of holm and cork oaks), supplemented by wild grasses and berries, and legumes. Actual consumption depends on the animal’s weight, although 6 to 10 kg of acorns per animal/day is considered normal, in addition to about 3 kg of grass daily. Because the dehesa pasture ecosystem is limited in size, with no more than 50 holm oaks per hectare, production of Iberian pigs is limited to just over a million head of livestock.